This filter-receiver is a high-vacuum device used in processing as a collection device in pneumatic material transfer. The baghouses can handle pressures up to 14psi or 7Hg. 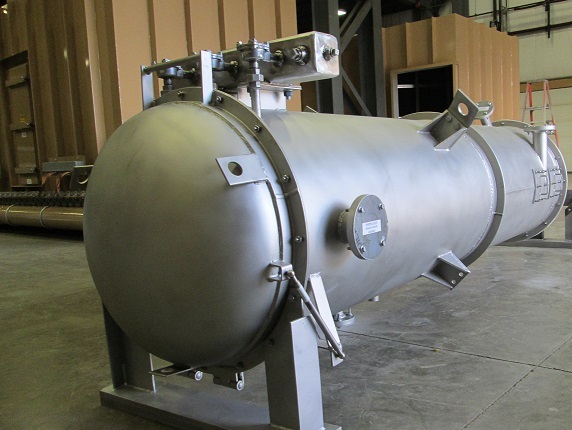 The baghouses can be manufactured in either stainless steel or painted carbon steel. The equipment incorporates SDC’s patented supersonic nozzle-based cleaning technology systems for reverse pulse jet dust collectors. The new cleaning nozzle provides an improvement in cleaning technology that improves performance when compared to existing technology. SDC has used nozzle-based cleaning systems on reverse pulse jet collectors in the manufacturing industry for over 35 years. The key to the performance of this cleaning system is the scientific design of the nozzle. This patented technology provides even more induced cleaning air into the filter media than other available systems.